Enjoy a blast from the past with a 70’s and 80’s night on 4th June at Nissan Sports and Leisure Club. At just £20.00 each, tickets are great value, and include a three course meal and live entertainment from a magician and local band The Baboons. 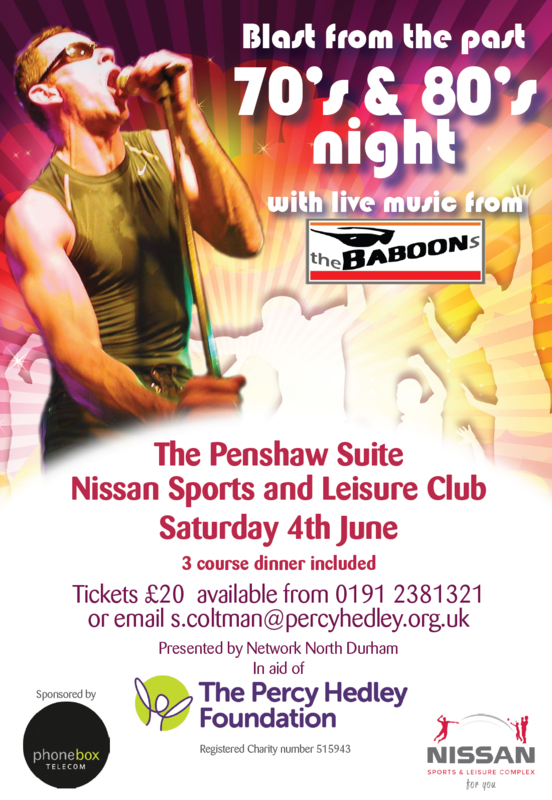 The night is in aid of local charity The Percy Hedley Foundation, with all proceeds going towards helping disable d children, young people and adults here in the North East.